The Delaware River Watershed drains directly to the Delaware River and Delaware Estuary. This watershed is heavily urbanized with some areas of forest. 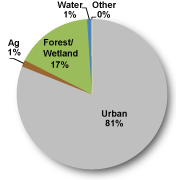 There are no nutrient or bacteria Total Maximum Daily Loads in the Delaware River watershed. The Delaware River Watershed has thirty-three sites listed in the Site Investigation and Restoration Section database. There are sixteen state-fund lead (HSCA) sites, ten sites in the Voluntary Cleanup Program (VCP), four Brownfield program sites, two sites that have undergone a preliminary assessment / site inspection (PA/SI) and one National Priorities List (NPL) site. In water bodies of the Delaware River Watershed, samples have indicated that PCBs, arsenic, mercury, chlorinated pesticides and dioxin are present in the environment at levels requiring further attention under the Clean Water Act (1972). The Delaware River Watershed is on the 303d list of impaired waters as well as having State of Delaware Fish Consumption Advisories for PCBs, mercury, chlorinated pesticides and dioxin. 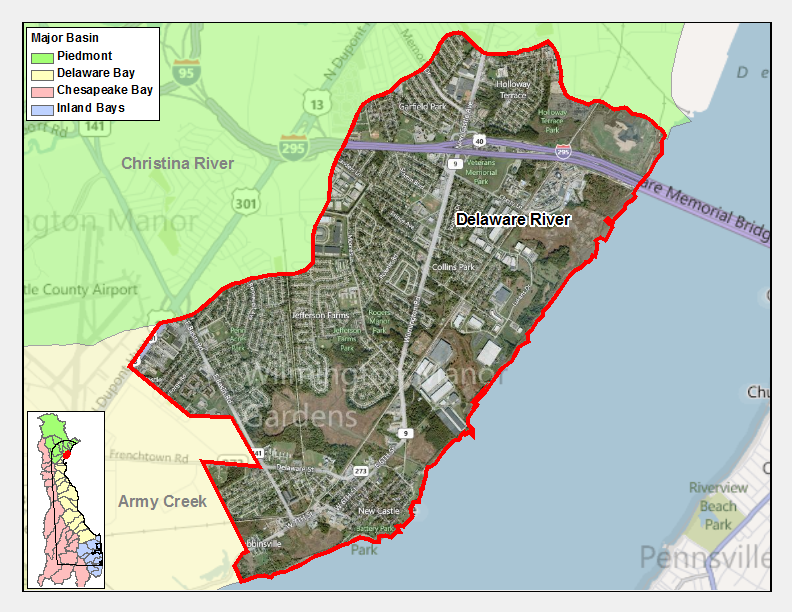 If you would like to view reports for any of the sites in the SIRS program please follow the link the DNREC Environmental Navigator to search by map for the Delaware River Watershed.